How will #fracking affect Elko County? Let me start by saying I have no answer to the above question. If Noble Energy does indeed develop wells using hydraulic fracturing, or fracking, what will that mean to Elko County residents? Noble Energy has held informative meetings and told us everything will be fine, that fracking will be good for the county. They said there is not a single proven case of fracking chemicals contaminating drinking water aquifers, and other problems either will not occur here or have been overblown. However, it is difficult to accept these facts with so many other states having problems. What worries me most is we will not know the problems we face until operations are well underway and it is too late to change things. A quick Internet search using “fracking problems” followed by various state names brought up long lists of articles, including these below. • NBC News reported fracking wastewater appears to be linked to earthquakes in an Ohio town that has not seen past quakes. The state has ordered an indefinite moratorium on fracking within three miles of the earthquake epicenters. Not only am I alarmed at the thought of fracking causing seismic activity, but Elko lies in an area of high seismic activity. In 2008, if fracking operations had been in place near Wells, what would have happened because of that earthquake? • The Washington Post reported Pennsylvania drilling for natural gas caused “significant damage” to drinking-water aquifers. The Texas Tribune reported that due to the recent drought, oil and gas companies may run short of needed water for operations in South Texas. • Time magazine reported the House Energy and Commerce Committee found that 14 of the country’s most active hydraulic fracturing companies used 866 million gallons of fracking chemicals between 2005 and 2009. This does not include water, which makes up 99 percent of the fluid injected into wells. • The Herald-Standard newspaper reported Williston, N.D. has a large methamphetamine drug problem brought in by a gang selling drugs among the oil workers. • Governing the States and Localities website reports North Dakota roads, designed for farm-to-market travel, are not holding up under the big trucks accessing rigs and wells. On the Jiggs Highway, what effect will heavy truck traffic have on this small highway? So help me out. Help me find an answer by telling me what you think. Will fracking be good or bad for Elko County? Are the possible problems overblown? If you believe fracking will cause problems, which ones do you worry about the most? Email me at hyslop.nv@gmail.com and put “fracking” in the subject line. In two weeks I will report the results. I will not be able to quote your complete comments, but will report the consensus of responses. The USGS says all industrial uses of water, including mining, use about 20 billion gallons per day. According to Mr. Hyslop the top 14 (IOW most all) companies engaged in hydraulic fracturing operations use (derived from the quoted 866 million gallons per 5 years x 100 to one water ratio) about 50 million gallons of water per day – 1/400 of industrial usage. When the same math is done for the 270 billion per day for all water usage in the US it’s 2/10,000. I’m not real worried. Before someone points out the obvious, Mr. Hyslop did not make this assertion, the article he quoted did. Search the Net for anything + problems and you will get thousands of hits leading to articles that, unsurprisingly, detail problems. Which of these are worth consideration then becomes the issue. Since the level of bizarre claims by people looking for and, again unsurprisingly, finding “problems” seems to runs around a 100% it’s naive to give most the time of day. Try Googling “obama birth certificate” or “truth 911” for a taste of what I mean. The examples you site aren’t much better. As an example of how misleading a search for problems can be, a full reading of The Washington Post story referenced shows one guy at the USEPA issued a report about methane in water in Penn. – a report that not only contradicts the final report that settled this matter by his own EPA but one that details gas in water that occurs naturally in that area anyway, is completely non-toxic in water anyway and has also long ago been ruled inconsequential by the Penn. State EPA. A family in Aruba Texas just was awarded 3 million for poisoning them. Headwated for the Humbolt river is the Mary’s River Valley. Ground water always follows surface water. Good luck with that North Texas! 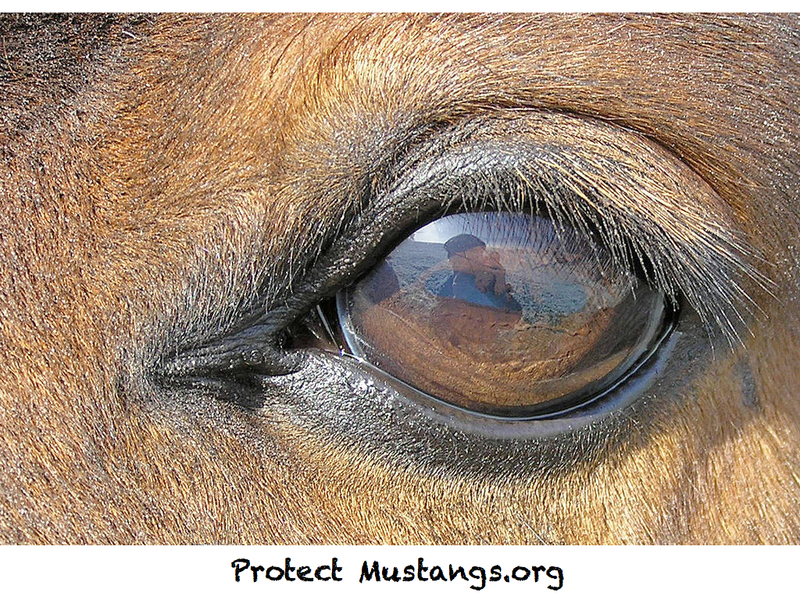 ELKO — Reports that wild horses were without water prompted local Bureau of Land Management to investigate this week. Contracted water hauler Jackie Wiscombe told the county commission Wednesday that the federal government shutdown had prohibited her from watering wild horses in Ruby Valley and Deer Springs, an area about 15 miles north of Currie. She said she was concerned the animals were dying of thirst. The road to Deer Springs had been washed out, Wiscombe added, and she was unable to drive to the guzzlers. Alerted by the news, BLM Elko District Director Jill Silvey said an employee was sent to Deer Springs to check on water and horse conditions. The BLM employee was able to get to Deer Springs on a road that had some washout but was passable, Silvey said. The employee also reported that the horse guzzler still had water. The employee didn’t see any horses, but because water was available, she said, the BLM believes the horses to be in good shape. Silvey was unsure where the communication broke down, but said hauling water to the horses is an essential service and the BLM didn’t intend for Wiscombe to stop watering the two areas. Wiscombe said she was contacted Thursday night and told that she should have received an email and voice message when the shutdown began, telling her to continue hauling water. Wiscombe is also unsure how the miscommunication occurred, but couldn’t recall getting an email. In any event, Wiscombe said she’s glad to be working with the agency again. Mostly, she’s happy to be watering horses again. Wiscombe said she didn’t see any horses but did find fresh horse tracks near the guzzlers. Commissioner Demar Dahl said Wednesday he could help fix a road if it was impassable. Wiscombe said she would keep in contact with the commission if the road needed repair. The Elko District BLM office is closed. Almost all of its employees have been on furlough since Oct. 1, when the federal government shut down.